State Rep. Jared Golden received more than $9,000 in expense reimbursements in fiscal year 2017. Photo courtesy Facebook. AUGUSTA – State spending data shows Lewiston State Rep. Jared Golden collected the most in travel, lodging and meal reimbursements for fiscal year 2017 among all the lawmakers Lewiston sends to represent them in Augusta. Golden is Assistant Majority Leader in the Maine House of Representatives and is currently a candidate for Congress in Maine’s Second Congressional District. In total, the five-member Lewiston delegation to the State House collected just over $32,000. Jared Golden’s share of that money was almost $9,000. 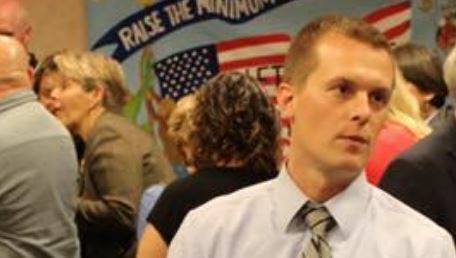 State Senator Nate Libby collected the second most in expense funding at just over $8,500. The fact that lawmakers are reimbursed for travel or lodging, and meals, while they serve in Augusta is one of the benefits that are not well known among voters. Maine Examiner has decided to dig into state spending data to provide additional transparency to voters. On average, Lewiston lawmakers collected $6,408 each in expense reimbursements in fiscal year 2017.